We all know what a hashtag is. You either love them or hate them, but they’re essential if you’re trying to make your content searchable. Hashtags within Instagram are live links. 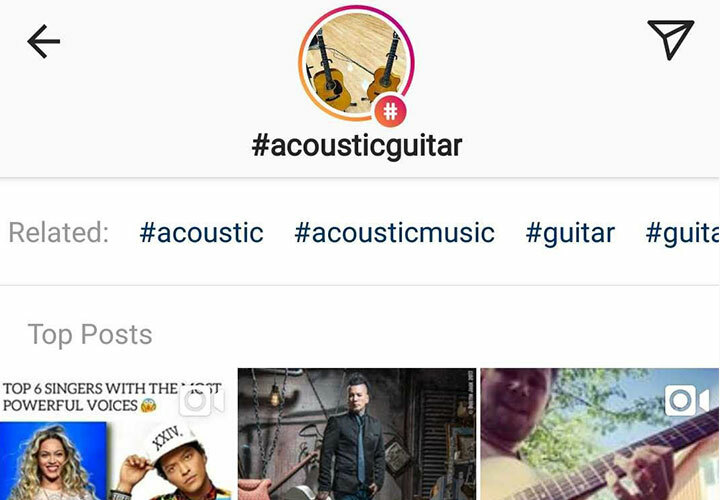 For example, clicking a photo tagged with #acousticmusic in the Instagram app, will bring up a page full of videos and photos tagged the same way. Posts not utilizing hashtags will only be seen by followers of your page. Adding even one hashtag is an easy and free way to increase the amount of people who see your post. This can be a great way to attract new followers. With a little time and effort, you can develop tags that will actually attract a very specific audience to your page. These folks may then visit your site, make a purchase, or come out to a show. If you’re not familiar with using hashtags, below is a list of guidelines that will help develop a basic understanding and get you rolling with your tags. A hashtag must include the actual hashtag/pound character (#) prefix to be discoverable in the app. Instagram only allows a maximum of 30 hashtags per post. You can add another 30 in each comment below your post’s caption if needed. I’d caution against this, since too many tags can look spammy or inauthentic. Hashtags can consist of words, phrases, numbers and emjois, but spaces and special characters are not allowed. Your account must be public in order for your posts to show in a hashtag’s search results. When searching for a hashtag, the app will bring up several “related” hashtags. You may want to include some of those in your post as well, to get even more traffic. There are several different types of hashtags you can use within Instagram. They may all make sense to use in different scenarios. Consider your goals and audience before you determine which kind to tag your post with, and don’t be afraid to use a few different kinds in the same post. These are widely used, extremely popular hashtags. Tags like #songs, #music, and #band. These will get a ton of searches, but also have a lot of post competition. For example, this morning a search for #music brought up 153,231,757 posts! What is the likelihood that someone will actually see your post out of 153 million? Make sure if you are using generic hashtags, that you are combining them with more tailored tags that we’ll mention later. Trending hashtags are those that are extremely popular for a short amount of time. Some of them are cyclical and easy to predict. Tags like #musicmonday for example, will probably always be trending on a Monday. Unlike most other social platforms, Instagram doesn’t have an area that displays trending tags inside of its own app. You don’t have to try and spot trends on their own though. There are a few third party services available to use, such as HootSuite, and the free version of Keyhole that can help determine popularity over time. 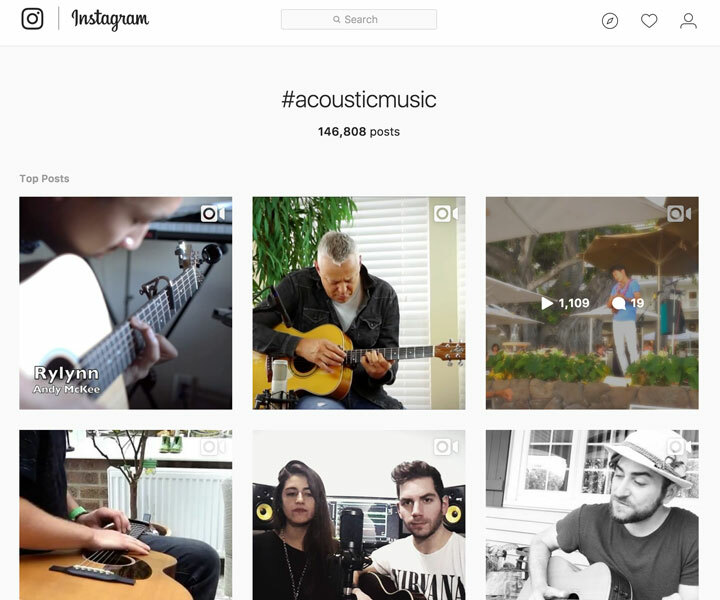 Tailored hashtags can be specific to your audience, gig, type of music, location, or event. They are a good way to attract targeted users to your page. For example, if you’re playing a gig in a certain city or neighborhood, you can include those in a post promoting your show a few days ahead of time. A good way to determine which hashtags you could be using is to take a look at influencers or other musicians and see what tags they use. Using a few of the same tags consistently will create a thread of commonality and allow your audience to search for your content easily. Branded hashtags make it easy for an audience to find your profile, or any posts related to you. It should be unique to your band and easy to spell and remember. Consider using the name of your band or a unique tagline/catchphrase. Audience members may use this tag when posting about you as well. For example, a search for #matchboxtwenty shows posts from the band and their fanbase. The venue you’re playing at will probably have its own hashtag, so you’ll want to include that when posting. You can even use the venue’s hashtag to search for posts about you after you finish playing a show. Another unique thing about Instagram is the search and explore area. Each user’s account shows different photos and suggested accounts to follow based on who they are already following and the types of photos they’re interacting with. The hashtags you choose on a regular basis will decide which users will see your account and posts. This is one more thing to keep in mind as you are selecting your hashtags. Test your tags to make sure the content quality isn’t negatively affecting your brand – you don’t want to end up on a feed with a bunch of offensive content that someone might then affiliate with your band. Use a few tags consistently to create a thread of commonality. 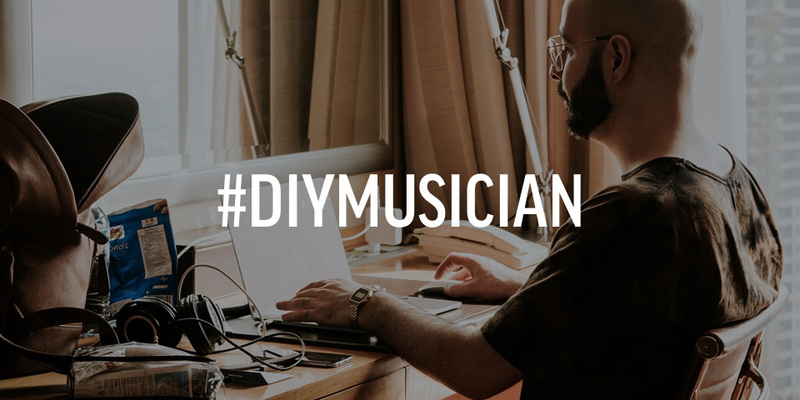 Do a little research to find hashtags that are specific to your industry, location, and type of music. Looking at other band’s accounts can be a great way to do this. Utilize a mixture of branded, trending, and tailored hashtags to increase your exposure. Post on a consistent basis to keep your momentum. Interesting article, thank you. The best way to promote anything is to use IG bots. With them, everything is much faster and nothing needs to be done manually. I use bigbangram.com. This is just great for business accounts. With this bot you can accumulate real subscribers. With me I use Hashatory for my hashtags.